I was raised in a family of Beatles lovers. I know most of the Beatles songs and many of Paul McCartney’s post Beatles works due to my father. Our last name was “McCarthy” and that is pretty close to “McCartney.” It must have been meant to be. Since growing up I have drifted away from my musical roots but have to admit I love the song “English Tea” by Paul McCartney. If your day has been hectic. I suggest you pour yourself a cup of tea, listen to this song and enjoy the English landscape.Take a moment to go on a virtual vacation. I know you will love it. Would you care to sit with me? For a cup of English tea? 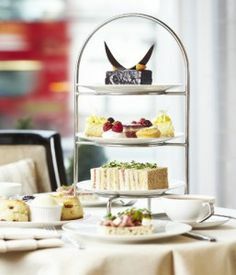 Afternoon tea also known as low tea, is a light meal typically eaten between 3pm and 5pm. 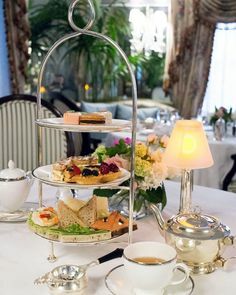 The custom of drinking tea originated in England when Catherine of Bragança married Charles II in 1661 and brought the practice of drinking tea in the afternoon with her from Portugal. Traditionally, loose tea is brewed in a teapot and served in teacups with milk and sugar. 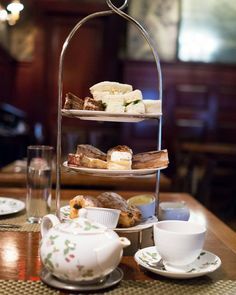 This is accompanied by sandwiches (customarily cucumber, egg and cress, fish paste, ham, and smoked salmon), scones (with clotted cream and jam, see cream tea) and usually cakes and pastries (such as Battenberg, fruit cake or Victoria sponge). 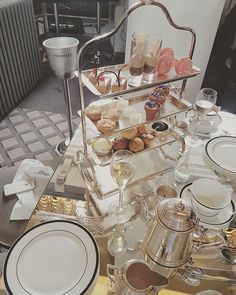 In hotels and tea shops the food is often served on a tiered stand; there may be no sandwiches, but bread or scones with butter or margarine and optional jam or other spread, or toast, muffins or crumpets. 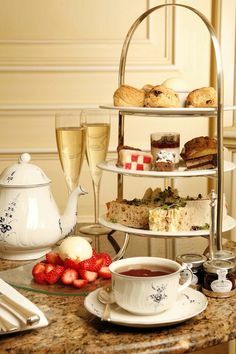 Personally I love a cream tea served with a cup of tea, scone and a slice of cake or other sweet. 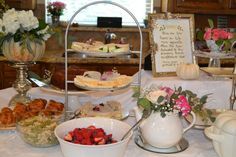 Nowadays, a formal afternoon tea is usually taken as a treat in a hotel, café or tea shop. In everyday life, many Britons take a much simpler refreshment consisting of tea and biscuits at teatime. Tea can refer to any of several different meals or mealtimes, depending on a country’s customs and its history of drinking tea. However, in those countries where the term’s use is common, the influences are generally those of the former British Empire (now the Commonwealth of Nations). The tea meal can be small or large and used, for example in the phrase, “to take tea”. Tea Party Girl asks: Do you have a favorite tea song? Thank you, this was lovely!